Ideal for those wishing to do some shopping, and to purchase alcohol and tobacco at competitive prices! Customs & Excise update their personal allowances for coach groups regularly. Check their website for the latest updates. Coquelles first for those who wish to stay all day in the Citi de Europe 5 mins off the Tunnel. Calais is approx 10mins away would have to make own way there & back from & to Cite de Europe. Cite de Europe 4.5 hours (or approx 3 hours if time in Adinkerke). We then go onto Adinkerke, Belgian border town (1.5 miles from French Border, 35 miles from Calais) suitable for cigarettes & tobacco only. Sterling money gives a better rate here. 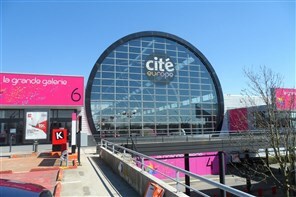 Allow 1 hour there and then return to Cite de Europe. Adinkerke: Ideal for those who require tobacco and also alcohol available at favourable prices. Those who choose Belgium have a stay of approx. 1 hour, and a short stop at the Citi de Europe on return journey. Anyone found by the UK Border Agency to have excess goods are liable to have them seized. And if personally detained, will have to make their own way home.